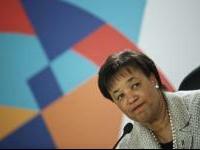 Commonwealth Secretary General Patricia Scotland on Wednesday praised India's initiative of Smart Cities and zero balance accounts (Jan Dhan) scheme as "innovative" and "smart". "India is leading the way with commitment and innovation that is smart and transformative for the way in which we live, learn and work together, " Scotland said. She was speaking on the challenge of climate change and sustainable development at an event organised by think - tank Observer Research Foundation here. "A smarter future is more than simply a technologically advanced future. . .
We see social and economic inclusion as being inextricably intertwined and interlinked. Each is vital in building resilience and reducing vulnerability. "This calls for upholding human rights under rule of law with impartial access to justice. And this is reflected in the excellent Smart Cities mission of the Indian government, " she said. By providing for the aspirations and needs of the citizens, it aims to develop the "entire urban ecosystem which is represented by the four pillars of comprehensive development - - institutional, physical, social and economic infrastructure", she said. Scotland said that such smart approaches to social inclusion encompass inter - generational justice with due attention paid to the needs, aspirations and dignity of all demographics. Drawing the attention towards the challenge of climate change, which she said was one of the biggest and most urgent challenges, the official stressed that it needed to be tackled with a combined effort. Earlier, Rudendra Tandon, Joint Secretary (UNP) in the External Affairs Ministry, said that India is planning to step up its engagement with the Commonwealth. "We do plan to step up our engagement because we see the London Commonwealth Heads of Government Meeting (slated for April 2018) as an important stepping stone for revitalisation of this multilateral platform which actually delivers a lot of utility to a lot of countries, " Tandon said.